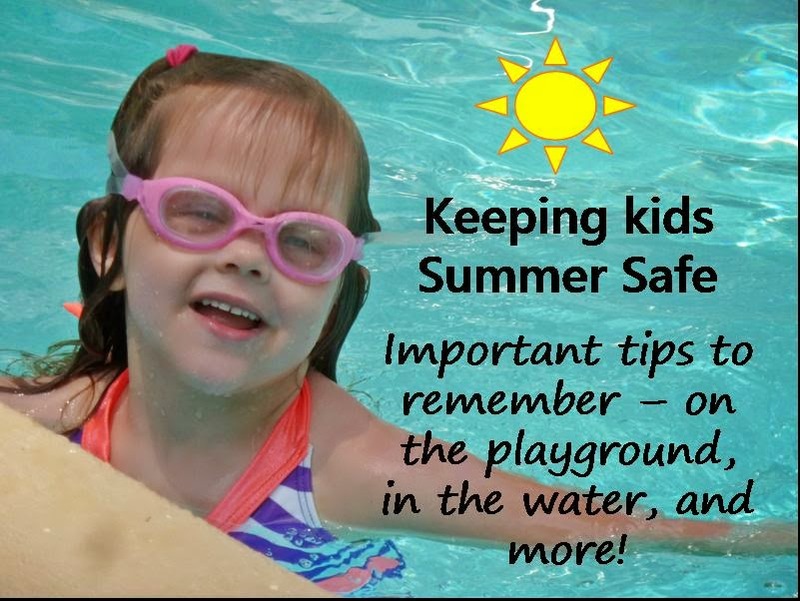 From @BalancingMama: Summer fun should also be safe! Safety tips and facts moms need to know. Do not allow children to ride near roads or in parking lots. No child should ride alone - the American Academy of Pediatrics says no child under age 8 should be alone, but honestly? These days I believe that should be even older. Make sure even your pre-teens ride where you can still see them from a distance. Never allow children into water without close adult supervision. Understand what drowning really looks like; a child that is unmoving and quiet in the water could be drowning. Per the CDC, about one in five people who die from drowning are age 14 or younger and within that age group, drowning is second only to auto crashes for unintentional injury-related fatalities. Diving into shallow water is also an extreme hazard and a leading cause of spinal cord injury including paraplegia and quadriplegia. Do not allow children to dive anywhere where signs prohibit such action. "No Diving" is there for a reason. Also be vigilant and follow all slip-n-slide and waterslide rules. Never allow children (or adults) to enter water head-first. Hitting any surface at the wrong angle can also cause severe spinal cord injury. Obviously, children should never light fireworks and adults should always use caution. Spectators should keep a safe distance. Did you know that sparklers are one of the leading causes of fireworks injury simply because they are taken for granted? Sparklers burn at temperatures around (and over) 2,000 degrees Fahrenheit. Make sure children understand the danger and use sparklers properly. Do not light more than one sparkler at a time, and do not lay spent sparklers down on dry grass or flammable materials - putting them in sand or water is best. Have lots of family fun this season - but stay safe! A visit to the ER will ruin even the best vacation day.